Visual Merchandising has been one of the most enjoyable classes I have taken at CCSF Fashion program. The opportunity to work with a team, and to create an idea into something tangible can be extremely rewarding. Throughout the semester, my team and I worked in several different display projects. Below, are the ones I consider were our best work. Each display was assigned a theme name previously chosen by my professor, Arcadia Maximo, equally distributed among six teams in class. 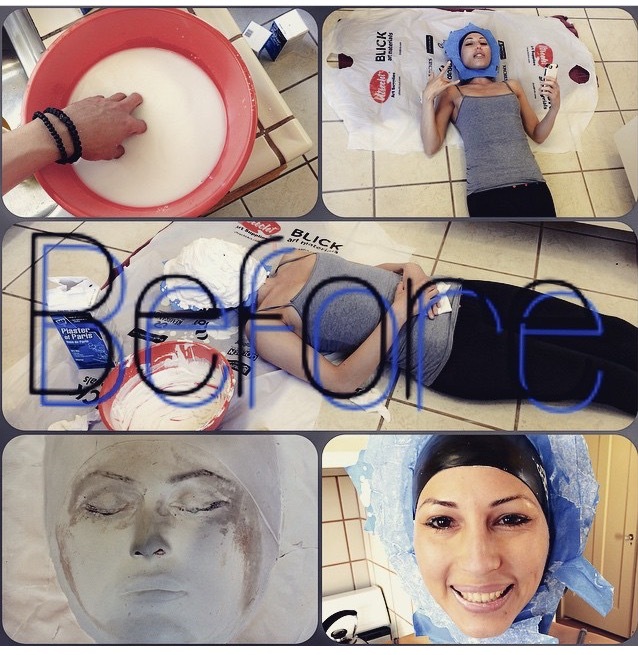 I truly enjoyed this hands-on opportunity, a great learning experience and very inspirational! 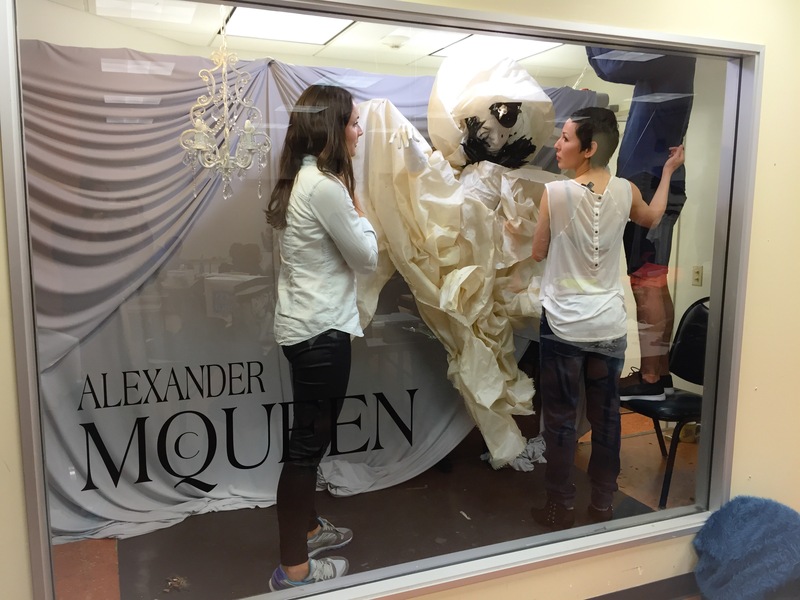 British fashion designer Alexander McQueen, known for his over the top designs and incredible creativity, inspired my team and I to do a window display a little bit unconventional or out of the ordinary for a College class setting. 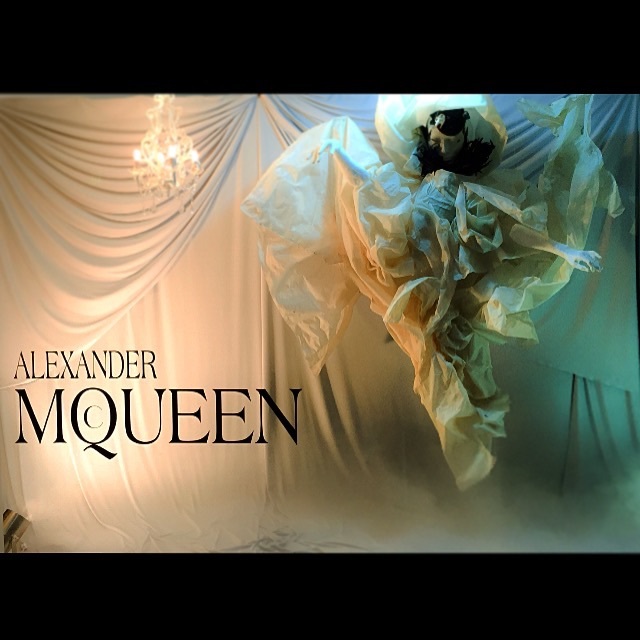 At least, in my humble opinion, that is exactly what is expected from anyone trying to convey Alexander McQueen’s work. Having said that, sculpting our own mannequin, transforming a piece of fabric into a floating dress, and setting a theatrical ambience on set, was definitely the way to go. My team from visual merchandising class was formed by six members; each of us coming from a middle class socioeconomic status. As you can imagine, no one in my team – myself included, could afford a real Alexander McQueen dress for our display. On the other hand, none of us wanted to use the mannequins provided by our school, so we came up with the idea of making our own. 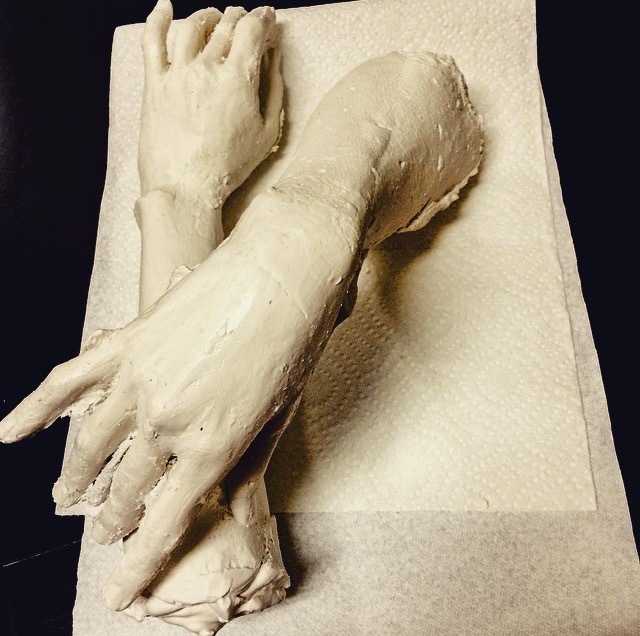 My teammate, Eduardo Gutierrez, made a sculpture of my face, arms, and hands using plaster of paris. The dress, was made of a thick piece of fabric that was glued on key spots to give it a “dress silhouette”. Both, the sculpted pieces and the dress, were suspended in the air using fishing line. 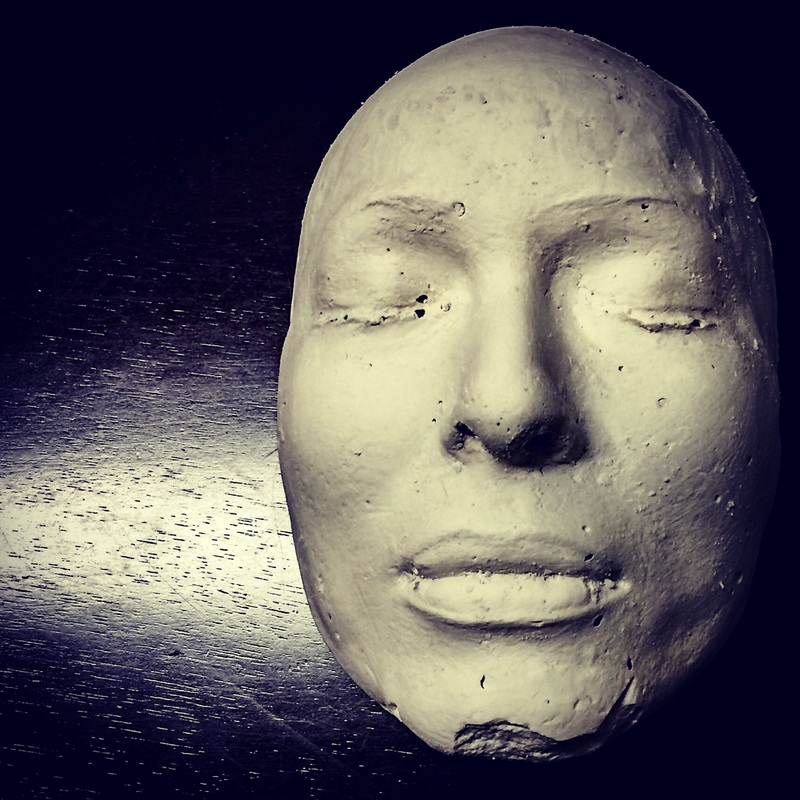 It was tricky to do this because the sculpted pieces were very heavy. If you ever try to do something like it just keep that in mind. For the rest of the display we wanted to keep the whole set really clean, neat and simple. We bought three pieces of fabric in blue monochromatic color, draped them and placed them in the back wall, this to give the spectator the idea of being in a theater or opera house. To complement the display with a dramatic look we used a chandelier which we were able to get from Lamps Plus, a San Francisco local lamps store that carries a great variety of products. Finally, the Alexander McQueen letters on the glass window were made of self-adhesive vinyl material at www.doityourselflettering.com. I highly recommend this website for all sort of lettering projects; it’s very easy to work with and they have great customer service as well. From all the displays we did throughout the semester, recycling theme was definitely one of my favorites! For this project we decided to promote recycling rather than represent a clothing store and/or brand name. 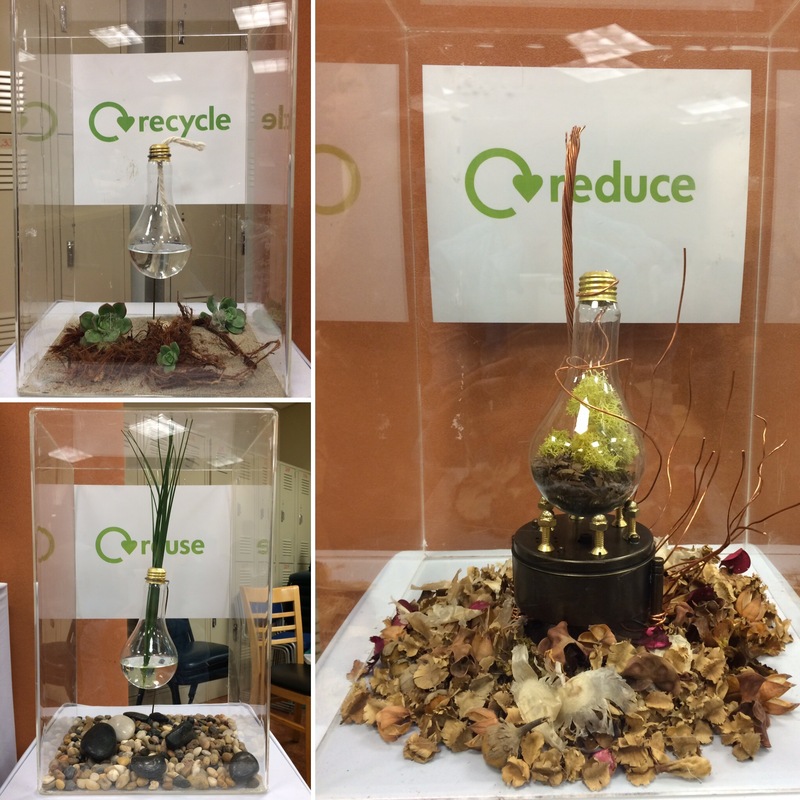 Recycle, reduce, reuse was our slogan; we wanted to incorporate natural elements for each cube display which included: (clockwise – top to bottom) fire, electricity and water respectively. Unfortunately, because we were in a classroom setting we were not allowed to light up the mesh in the lightbulb, but you get the idea. 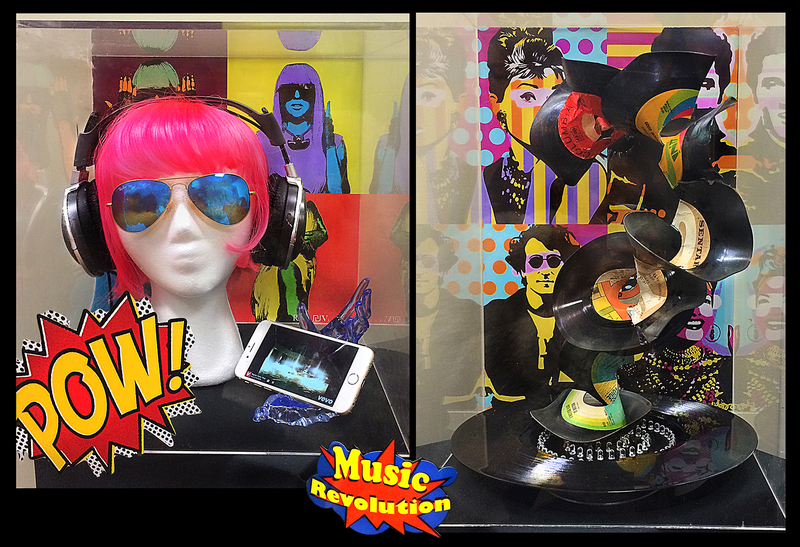 For the music theme, we wanted to showcase the evolution of music over the past eras. Because we had only two cubes to do so, we went for a progression from the vinyl disc to today’s iPhone’s music player. 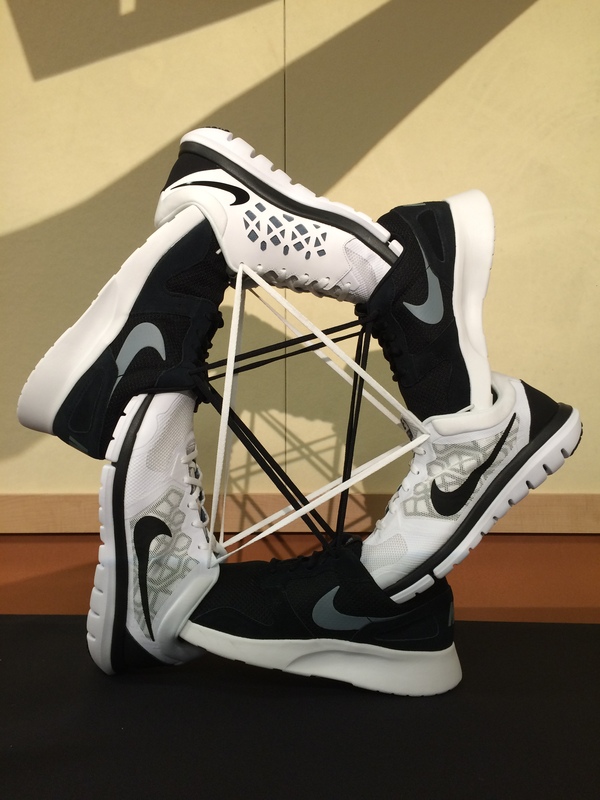 Below on the right, there is a cube display showcasing a series of vinyl discs which were softened with fire and given an art form. 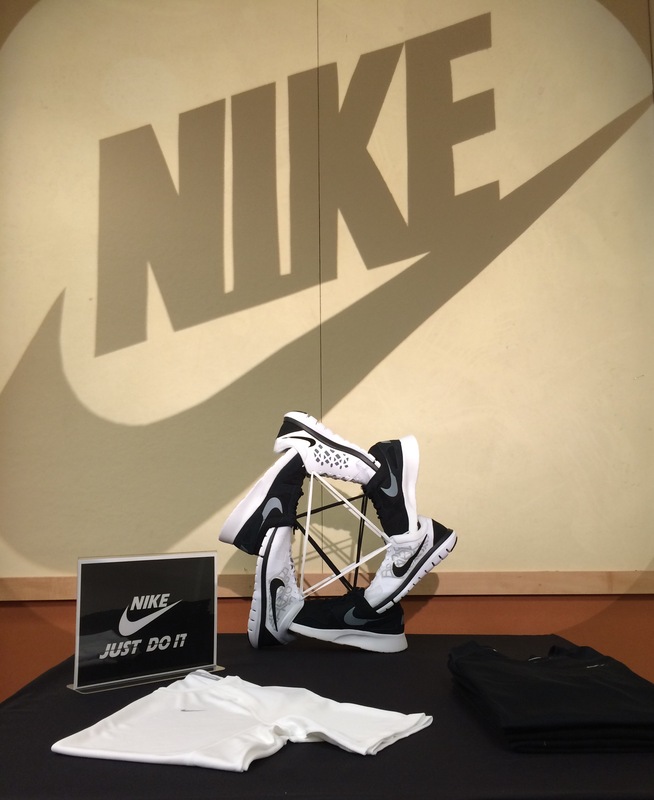 On the left cube display, there is a mannequin wearing headphones, listening to a Lady Gaga’s music video from an iPhone. My teacher, Arcadia Maximo, funny predictions! “Group 6 has left display, it was too low brow for them anyways. They have decided to pursue their true passion, their art! Now known only by their initials, J, O-Squared, C,E,Y (JO2CEY) they only make appearances at their art shows and won’t answer any questions on their humble beginnings in visuals”. Very clever and funny…we love you Arcadia!! Special thanks to my wonderful and amazing teacher, Arcadia Maximo, best instructor EVER! Please feel free to message me anytime with comments or constructive feedback.